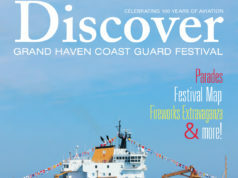 It wouldn’t be a Coast Guard Festival without the ships, and this year is no exception. Four ships are expected to sail into port during this year’s festival, making their grand entrance during the Parade of Ships at 1 p.m. Monday, Aug. 1. 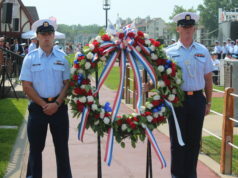 This year’s visitors include U.S. Coast Guard cutter Hollyhock, U.S. Coast Guard cutter Mobile Bay, U.S. Coast Guard cutter Morro Bay and Canadian Coast Guard ship Constable Carrière. Throughout the week, the vessels will be available for free tours, allowing you to get a firsthand look at the various ships. 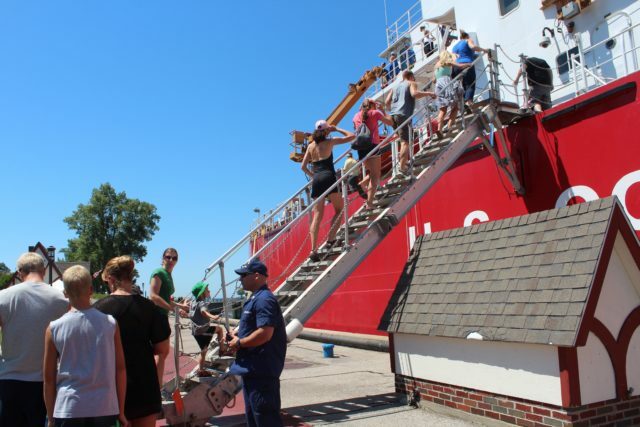 Homeported in Port Huron, the Hollyhock is a 225-foot seagoing buoy tender and maintains nearly 150 aids-to-navigation on the lower Great Lakes. Hollyhock was built in 2003 to replace the USCGC Bramble. Her primary missions include tending to navigational aids, search and rescue, environmental protection and ice-breaking. The primary mission of Mobile Bay is to break ice. The ship conducts its icebreaking mission from mid-December through mid-April. It operates mostly in Green Bay, the Straits of Mackinac and the St. Mary’s River. Other missions include law enforcement, search and rescue, environmental pollution response, and Homeland Security. Morro Bay is a 140 foot Bay-class icebreaking tug based in Cleveland, Ohio. 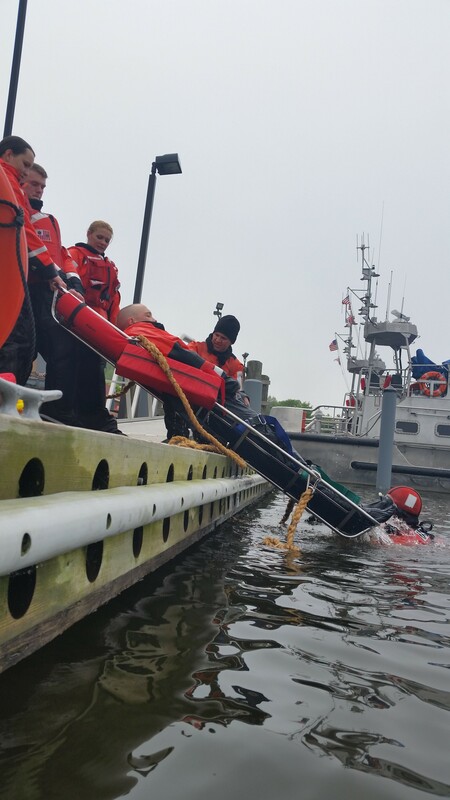 Its missions include icebreaking, Homeland Security, lighthouse maintenance, law enforcement and public affairs. The Morro Bay serves throughout the entire Great Lakes. The Constable Carrière is a mid-shore patrol vessel stationed in Sault Ste. Marie, Ontario. It’s the primary platform for the joint Canadian Coast Guard and Royal Canadian Mounted Police Marine Security Enforcement Team. The primary mission of the program is to enhance national security, respond to potential threats, and secure the border on the Great Lakes and St. Lawrence Seaway. The ship was named after Constable J.L. François Carrière, a member of the Royal Canadian Mounted Police in Cape Breton, Nova Scotia, who died on Nov. 30, 1997, while conducting an underwater search of a vessel believed to be smuggling illegal drugs. Next articleA Tribune Mailbag Question: Is it OK to sell parking spots during the festival?